Vietnam is known for its plethora of stunning natural landscapes, quaint villages, museums, untouched islets, ancient citadels and colonial structures. The unique blend of the east and the west makes major cities like Hanoi and Saigon special vibes that you will fall in love with. 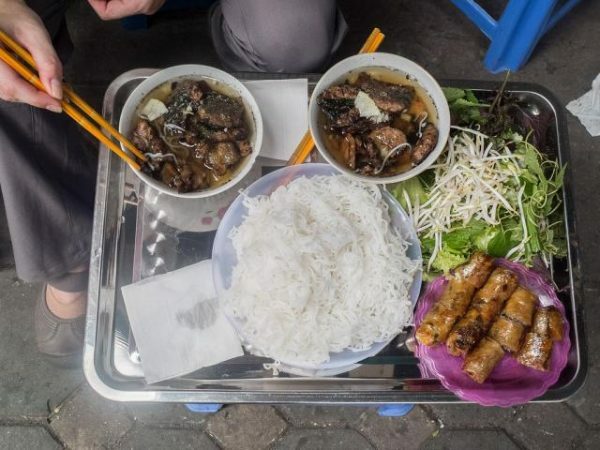 Street food is one of the best highlights of Vietnam travel that impress every single tourist and visitor. Internationally, Vietnamese food is recognized for its culinary uniqueness, aromatic flavors, and fresh ingredients. You can consider a culinary adventure to enjoy the Vietnamese flavors, colors, and textures of street food. Saigon, the biggest city in Southern Vietnam, is considered to be the best street food capital where every night thousands of informal eateries serve hundreds of dishes to food lovers. Once known as the colonial hill station, Sapa in Vietnam is the mountainous town that is located in the Northwest region. 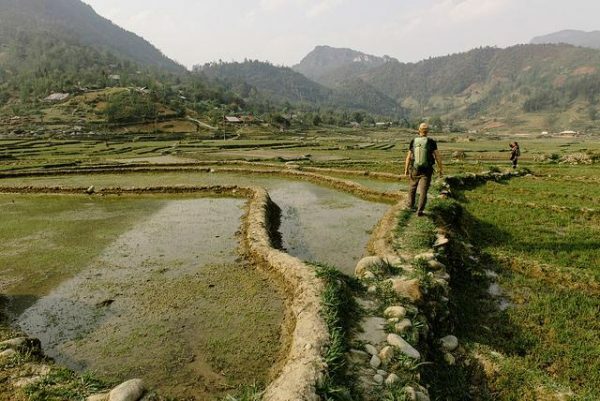 Sapa is known for its picturesque scenery such as the bamboo forests, rolling Green valleys, ethnic minority villages and patchwork terraced fields. You can also do trekking on the Vietnam’s highest mountain, Fansipan, which is said to be one of best trekking route in less than 24 hours. While you are trekking on the mountain, ensure you have a standard backpack, for example, a sling backpack. It allows you to effortlessly shift your backpack from behind your back to the side of your hips or to your front, to give your back a rest. 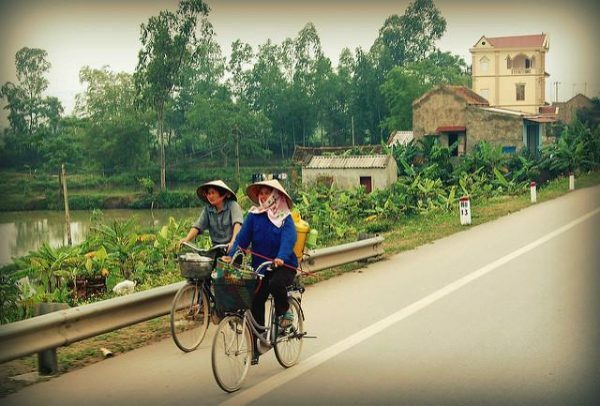 You can explore the small and beautiful towns in Vietnam by riding a bike that will help in learning more about the Vietnamese culture and the lifestyle of the locals in less than 24 hours. During your Vietnam visit, you can ride a bike to have the utmost fun and enjoyment while discovering the beautiful locations and stunning attractions. Nature lovers don’t miss on this cycle Ride as it will mark a perfect end your visit. Local markets are one of the main attractions, which a visitor or tourist should explore. The Mekong Delta in Vietnam is a home to the most bountiful, colorful and frenzied markets in the country. 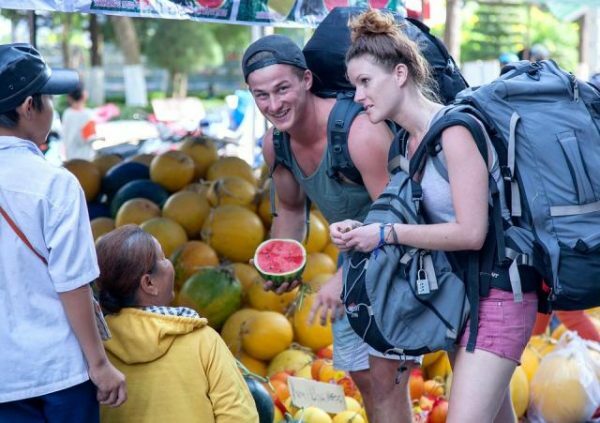 In this market, you will get an opportunity to shop like a local with great bargaining skill to buy some exotic fruit. The great place- Chill Skybar offers the most beautiful view of Ho Chi Minh City, where you can enjoy an all night long party. If you are a party addict and want to discover the famous Vietnamese nightlife, then the Chill Skybar is the right place to explore and have fun. 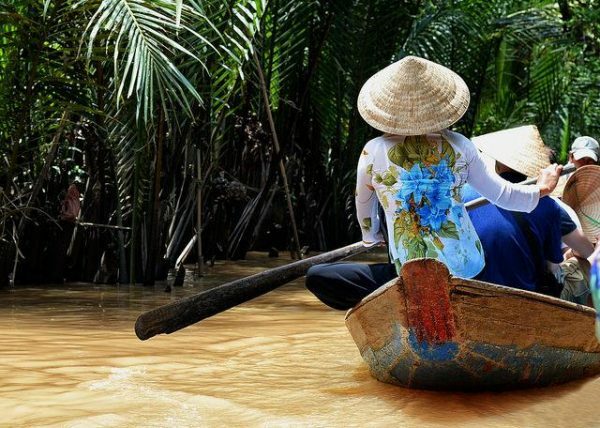 The Mekong Delta is known as Vietnam’s Rice Bowl that has a diverse vegetative life and rugged landscape. While cruising along the Mekong Delta, you will get lost in the labyrinth of canals lined with mangrove forest, agricultural plots, and the floating markets. Drifting down these waterways has become one of the best tourist activities to do in Vietnam in less than 24 hours. to do in less than 24 hours. About the author: Ryan Smith is a full-time traveller and founder of MrAbroad.com, where he turns his passion into interesting information for travel lovers. MrAbroad focuses on travel destinations, helpful tips&tricks. It is built to inspire you to live a life full of adventure, joy and experience.